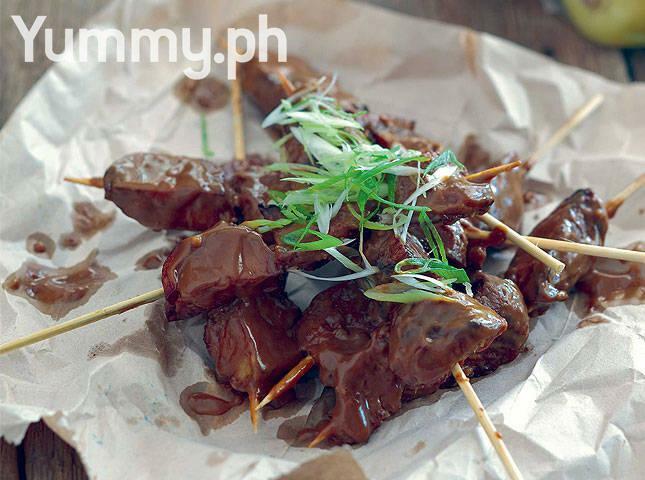 How does skewered gluten steaks with barbecue sauce sound? For us guys, a successful night out involves great company, hilarious stories, and of course, some alcohol and delicious pulutan. But what do you do about the last two when you’re watching your waistline? 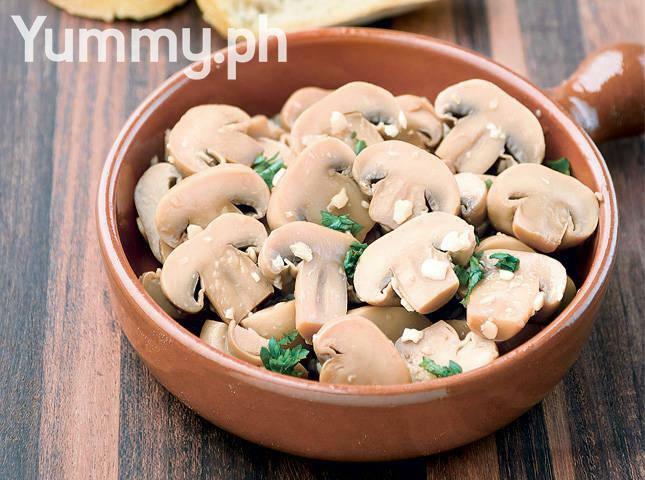 Sauté button mushrooms in butter and minced garlic, and add a tablespoon of liquid seasoning. Sauté for another two minutes, and serve with chopped parsley. Easy-peasy. Slice two blocks of tofu into very thin pieces and layer them on a greased foil cookie sheet. Mist the slices with some cooking spray, and bake them at 250-degrees Fahrenheit for about 25 minutes, or until they’re golden brown and crisp. Season them with a mix of salt, Spanish paprika, onion powder, black pepper, and cayenne powder. Roll out your pizza dough into a 12-inch circle, and top it with grated mozzarella cheese, all-purpose cream, chopped sun-dried tomatoes, sliced button mushrooms, and sliced fresh basil leaves. Roll it up as you would a lumpia, and place it on a well-greased baking tray. Bake it at 375-degrees Fahrenheit for eight to 10 minutes or until the top turns a nice light brown. Sprinkle it with dried basil, grated parmesan cheese, and dried chili flakes. To make your marinade, dissolve some peanut butter in water, then add soy sauce, vinegar, sesame oil, garlic, ginger, and sugar. Bring the sauce to a boil, then simmer for a few minutes until it thickens. In a skillet, sear some chopped gluten steaks (a.k.a. seitan) on all sides until crisp, skewer them onto barbecue sticks, and spoon the marinade over them. Grill the skewers on each side until charred, brushing them with the sauce frequently. Serve your vegan barbecue with the extra sauce on the side. Stir some breadcrumbs in a non-stick pan with melted butter and add minced garlic and lemon zest. 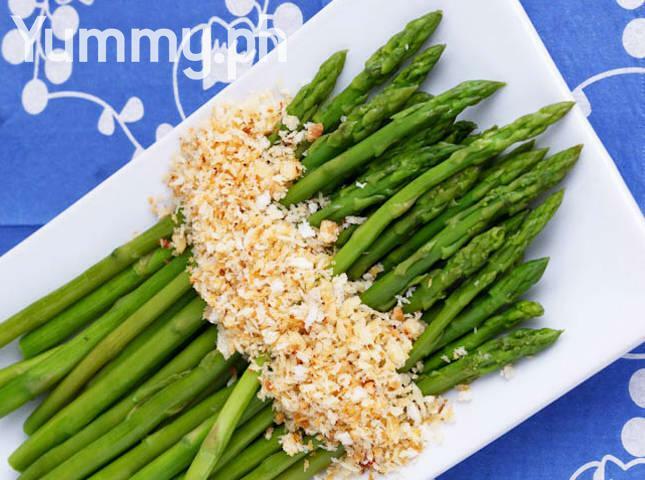 Cook until the breadcrumbs are crisp and golden, and serve over steamed asparagus. Sauté together cubed onions, chili powder, ground cumin, dried oregano, and a bit of salt and chili flakes for about five minutes. 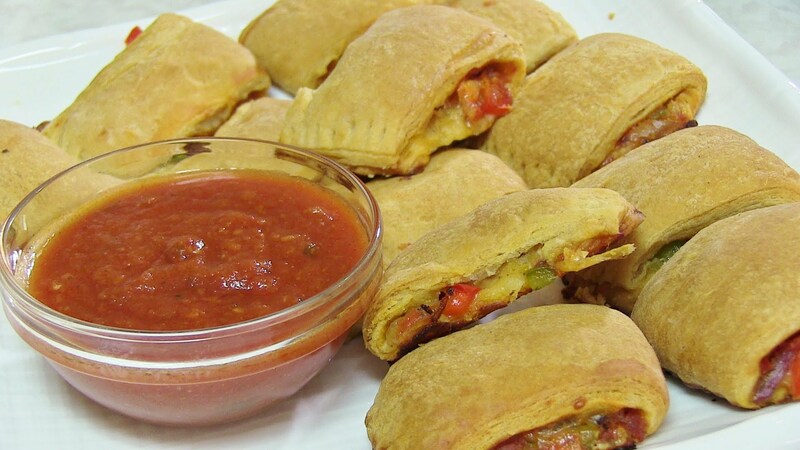 Add minced garlic, sliced bell peppers, and sliced tomatoes, and cook for another five to seven minutes. 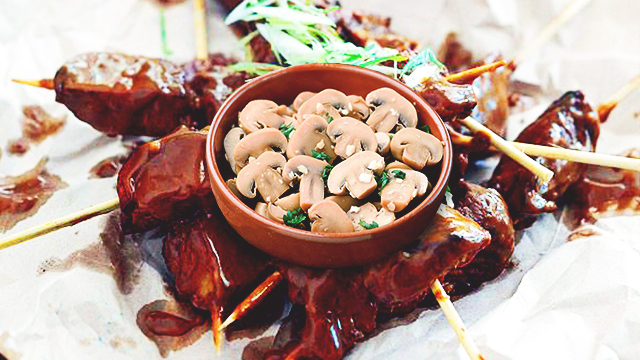 Complete with a mix of oyster, shiitake, pearl, and button mushrooms and cook them until they soften. 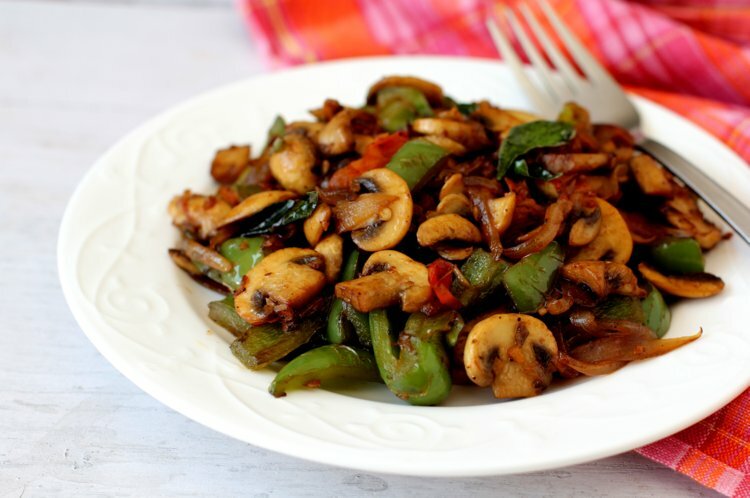 Then sprinkle with chopped cilantro leaves, and season to taste. For the batter, sift all-purpose flour and corn starch in a bowl and add salt, pepper, paprika, and garlic powder. Gradually add a cup of cold water and one egg, and whisk them all together until all lumps are gone. Meanwhile, slice thinly some cauliflower, broccoli, potatoes, carrots, and onions, drop the vegetables into the batter, and deep-fry them until they’re nice and brown. 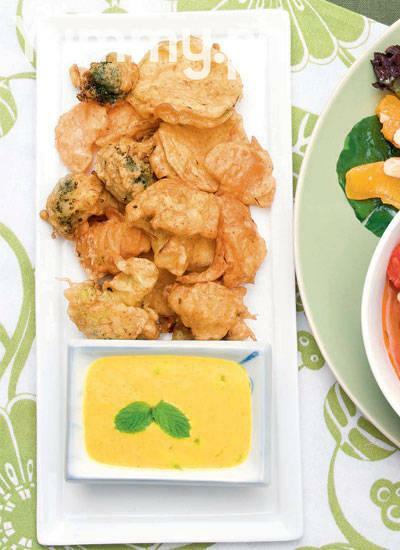 Serve it with a mango-yogurt dip, which you can make by pureeing the flesh of a mango in a blender and combining it with a cup of yogurt, Dijon mustard, honey, and turmeric. Season the dip with some salt and top it off with chopped mint leaves. 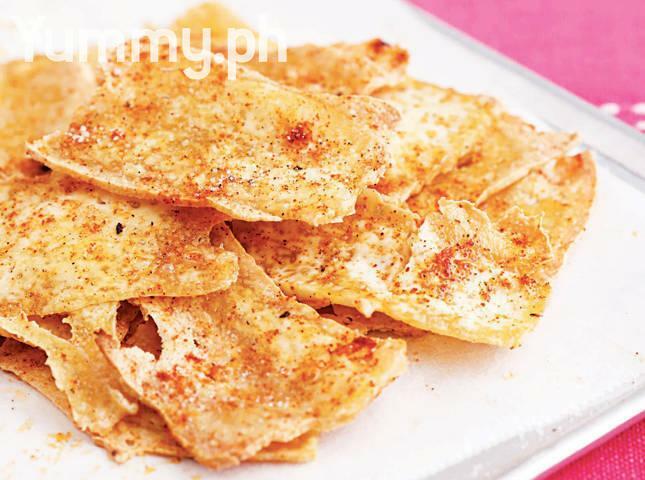 Cut the tofu into French fry-sized pieces, and lightly coat it with flour. Deep-fry them for about five minutes each until they're crisp and golden. 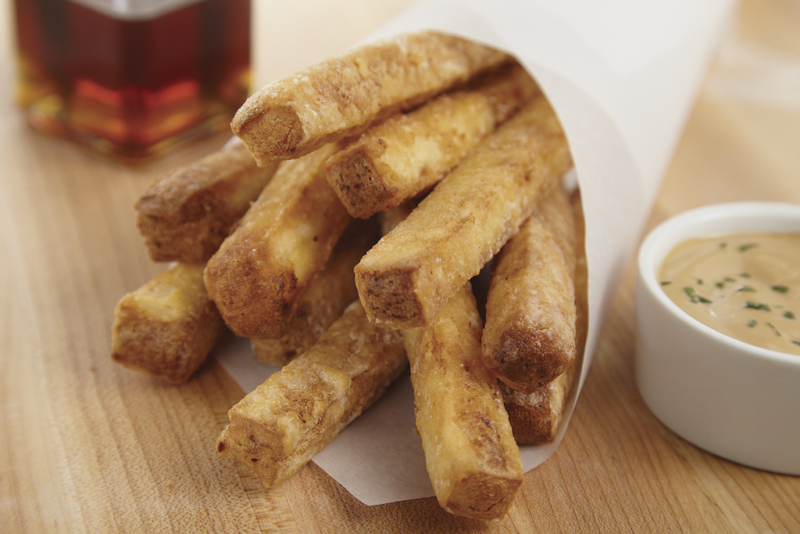 Season with salt, and serve with your preferred dip.